We have the kindest patients! Posted on August 3, 2017 August 3, 2017 by John McHugh M.D. 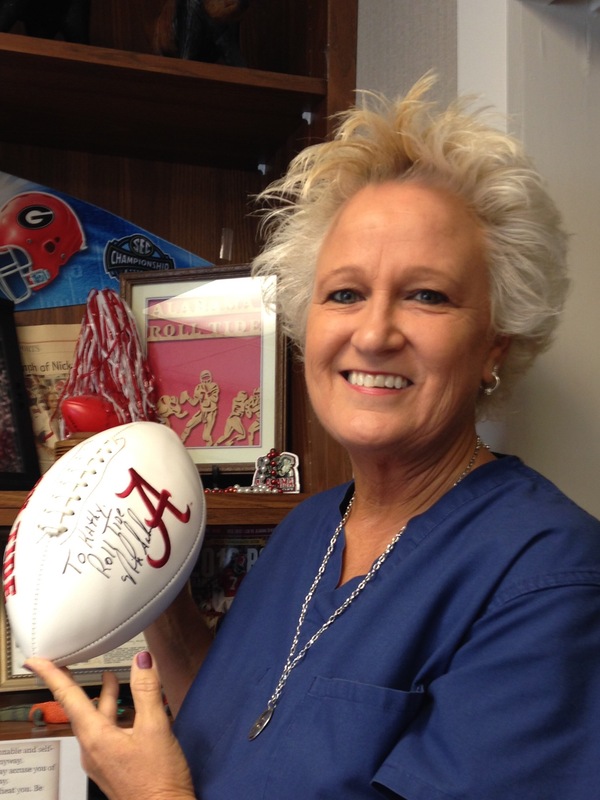 Mr. Charles Black, a friend and a patient of our practice, knowing how much Kathy loves Alabama presented her with an autographed football (to Kathy) by Coach Nick Saban! Talk about making somebody’s day! Thank you very much Mr. Black. ← “Pains” after a vasectomy…is it phantom? Any Bama fans out there? Kathy our surgery scheduler got quite the surprise yesterday!